Should You Avoid Marvell Technology Group Ltd. (NASDAQ:MRVL)? The Insider Monkey team has completed processing the quarterly 13F filings for the September quarter submitted by the hedge funds and other money managers included in our extensive database. Most hedge fund investors endured a torrid quarter, which certainly propelled them to adjust their equity holdings so as to maintain the desired risk profile. As a result, the relevancy of these public filings and their content is indisputable, as they may reveal numerous high-potential stocks. The following article will discuss the smart money sentiment towards Marvell Technology Group Ltd. (NASDAQ:MRVL). Marvell Technology Group Ltd. (NASDAQ:MRVL) was in 31 hedge funds’ portfolios at the end of September, which represented a decrease in activity from the world’s largest hedge funds in recent months. 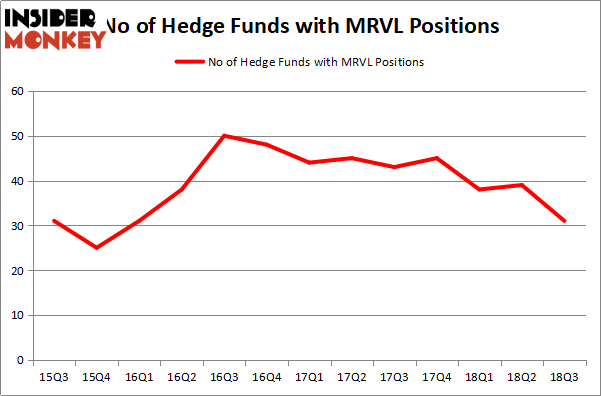 There were 39 hedge funds in our database with MRVL positions at the end of the second quarter. The number of smart money investors long the stock was far from enough for it to be considered widely popular (if you are interested to see which stocks have attracted the most attention from hedge funds take a look at the list of 30 most popular stocks among hedge funds in Q3 of 2018. While collecting more data that would help us analyze this stock and determine whether it is a good buy or not, we tracked down highlights from the annual Sohn conference in San Francisco, where Highland Capital Management’s Michael McLochlin talked about Marvell Technology Group. As reported on CNBC, Michael McLochlin said that the company has seen many positive changes that happened thanks to Starboard’s activism, and he predicts that the company will bring $3.7 billion in cash in the next three years. Despite Michael McLochlin enthusiasm for the stock, we are still not convinced and would like to go over the latest hedge fund action regarding Marvell Technology Group Ltd. (NASDAQ:MRVL). How are hedge funds trading Marvell Technology Group Ltd. (NASDAQ:MRVL)? At Q3’s end, a total of 31 of the hedge funds tracked by Insider Monkey were long this stock, a drop of 21% from the second quarter of 2018. Below, you can check out the change in hedge fund sentiment towards MRVL over the last 13 quarters. With the smart money’s positions undergoing their usual ebb and flow, there exists a few notable hedge fund managers who were adding to their holdings substantially (or already accumulated large positions). Among these funds, Starboard Value LP held the most valuable stake in Marvell Technology Group Ltd. (NASDAQ:MRVL), which was worth $661.8 million at the end of the third quarter. On the second spot was Citadel Investment Group which amassed $456.6 million worth of shares. Moreover, Alyeska Investment Group, Brahman Capital, and Roystone Capital Partners were also bullish on Marvell Technology Group Ltd. (NASDAQ:MRVL), allocating a large percentage of their portfolios to this stock. 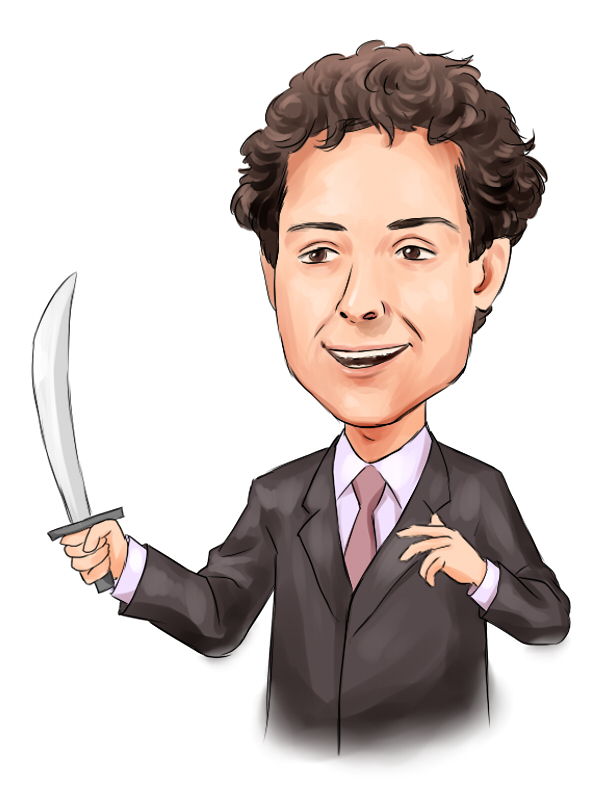 Judging by the fact that Marvell Technology Group Ltd. (NASDAQ:MRVL) has faced a decline in interest from hedge fund managers, it’s easy to see that there is a sect of hedgies that decided to sell off their full holdings heading into Q3. At the top of the heap, Josh Resnick’s Jericho Capital Asset Management sold off the biggest stake of all the hedgies tracked by Insider Monkey, worth close to $44.2 million in stock. Curtis Macnguyen’s fund, Ivory Capital (Investment Mgmt), also dropped its stock, about $41.4 million worth. These transactions are intriguing to say the least, as total hedge fund interest fell by 8 funds heading into Q3. Let’s now review hedge fund activity in other stocks – not necessarily in the same industry as Marvell Technology Group Ltd. (NASDAQ:MRVL) but similarly valued. We will take a look at Targa Resources Corp. (NYSE:TRGP), Chipotle Mexican Grill, Inc. (NYSE:CMG), Telecom Italia S.p.A. (NYSE:TI), and DexCom, Inc. (NASDAQ:DXCM). This group of stocks’ market values are closest to MRVL’s market value. As you can see these stocks had an average of 22 hedge funds with bullish positions and the average amount invested in these stocks was $1.04 billion. That figure was $1.9 billion in MRVL’s case. Chipotle Mexican Grill, Inc. (NYSE:CMG) is the most popular stock in this table. On the other hand Telecom Italia S.p.A. (NYSE:TI) is the least popular one with only 3 bullish hedge fund positions. Marvell Technology Group Ltd. (NASDAQ:MRVL) is not the most popular stock in this group but hedge fund interest is still above average. This is a slightly positive signal but we’d rather spend our time researching stocks that hedge funds are piling on. In this regard CMG might be a better candidate to consider a long position.